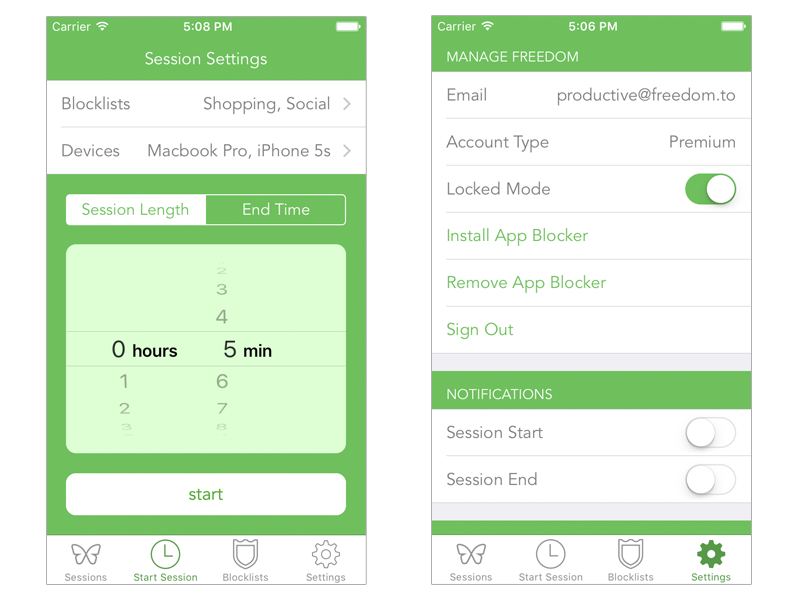 Your Freedom trial entitles you to 7 distraction-free blocking sessions on all of your devices. There's no obligation and no credit card is required. Create unlimited lists of websites and apps that distract you. Create productive habits with our scheduling feature. Use Locked Mode to give your willpower an extra boost! Take a quick tour of Freedom. The Freedom Dashboard is your control center, and we've designed it to be intuitive and easy to use. At the Freedom Dashboard, you can set up and select your blocklists, add devices and create schedules. 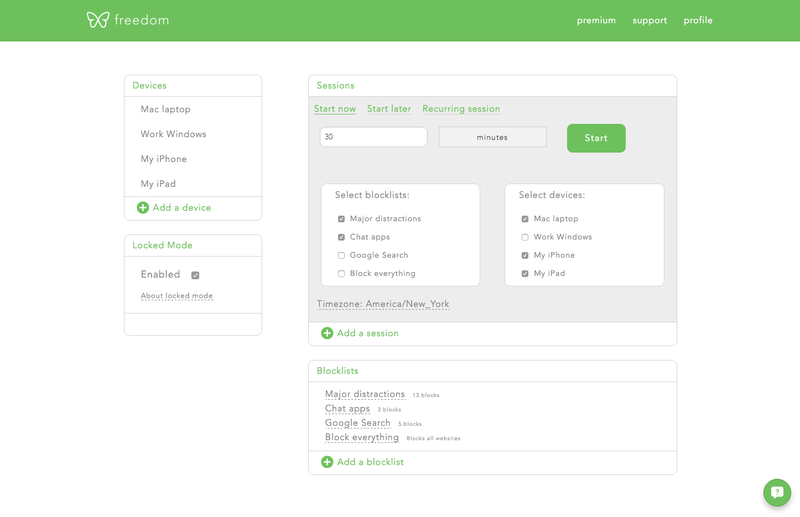 And of course, you can start your Freedom sessions from the dashboard or directly from any of your devices. The Freedom App is easy to install - just download and log in. You can run sessions on a schedule, or if you need a quick break, directly from our app. The Freedom App for Mac or Windows is easy to install - just download and log in on your devices. You can run sessions on a schedule, or if you need a quick break, directly from our app.